TypographyA Very Short Introduction: Does that typeface play a tune? Does that typeface play a tune? Well, Eurostile always goes dum-dee-dum-dum-dum-dee-dee for me. 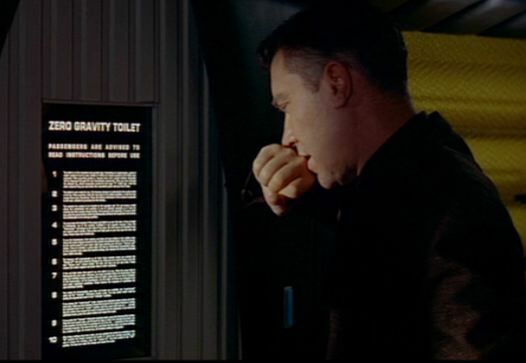 And yes, Microgramma (‘They call me Eurostile – that’s not my name!’) was the typeface used for the zero-gravity toilet instructions in 2001.